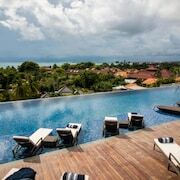 Jimbaran, Bali, is the sophisticated cousin of party regions Kuta and Seminyak: The one with the super-nice house and classy decanter of expensive scotch on the bar. Want to join in, but not be too far from the island’s bumping nightlife? 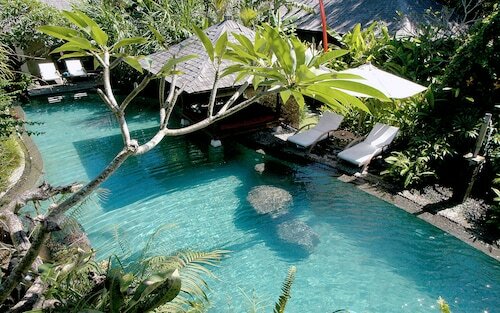 Jimbaran has your name all over it. 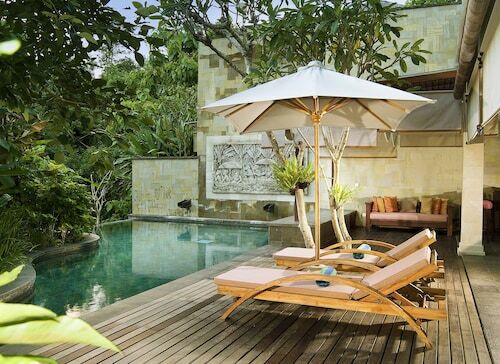 Jimbaran hotels are in the neighbourhood of some of Bali’s best spas and private tropical beaches that will make you feel like ruler of the world (or at least your chaise). By day, oversee your kingdom from beneath your thatched cabana, with breaks for snorkelling, kayaking and getting your vitamin “sea”, of course. By night, wine and dine by candlelight during a beachfront dinner—quite literally with your toes in the sand. If you’re looking to leave your Jimbaran hotel for a bit, take a day trip to Uluwatu Temple, 15 km southwest of Jimbaran’s centre. Uluwatu doesn’t just have the best sunset views around—you can also catch a kecak dance. It’s just what it sounds like: You may hear the loud “cak cak” chants in your dreams for days. Who says you can’t get a little education on holiday? Not only does Jimbaran have the best island living Bali deals have to offer, it’s only 10 km south of Denpasar International Airport (DPS). Head straight to the airport’s official taxi counter for the easiest ride—just pre-pay your fare and give the driver your receipt. Plan on getting in a little island exploration? Check out Wotif’s cool car hire options and you’ll “wheel-y” be in control of your holiday. Bali hotels come in all shapes and sizes, but there’s nothing like Jimbaran when it comes to stylish soirees and sunset views. Wotif will hook you up with the best deals on Jimbaran accommodation, and you’ll soon be on your way to your dream excursion! 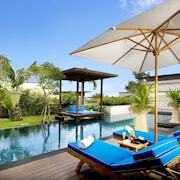 How Much is a Hotel Room in Jimbaran? 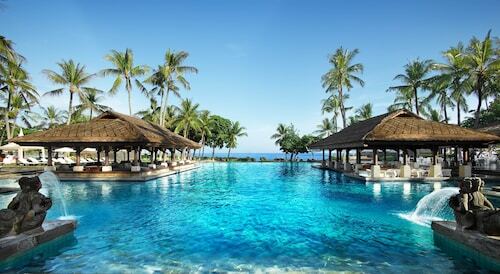 Hotels in Jimbaran start at AU$230 per night. Prices and availability subject to change. Additional terms may apply. Good location, great beach and pools. Very nice. Food is a bit over priced.